A trip to Israel is an integral part of a Jewish child’s education It can be as effective as years of schooling. An educational experience in Israel is an integral part of the Jewish education that you give your child and is a proven tool for strengthening Jewish identity. Synagogues, Federations, communities, organizations, and Jewish for higher education schools operate and sponsor escorted trips to Israel for teenagers. 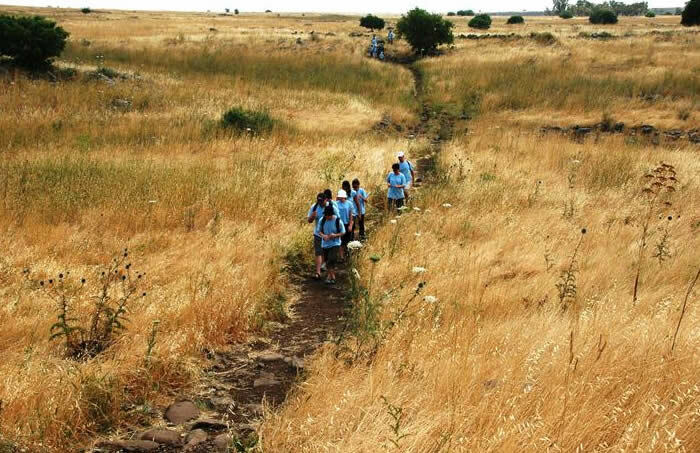 Trips for teenagers can serve as a key element of a child’s education, strengthening Jewish roots and identity and an instrumental foundation for return trips later and throughout life, thus helping support the Jewish State of Israel. But besides all the great benefits of teens traveling to Israel, they themselves enjoy making friends on the trip, touring Israel, and experiencing life away from home. Youth trips to Israel are almost always horizon-expanding experience learning a great deal about Israel, Judaism and themselves. If you are working directly with teenagers you have an important role and opportunity to inculcate to the young a strong connection with the land of Israel and the people. These are some of the things you can do to motivate teens to visit Israel. 1.Start early – Early intervention in school and at home, is important to start the Israel education process as early as possible, thereby inculcating for the longest period the notion that going to Israel during young adulthood is just “what is done.” Parents can take advantage of community funds, and saving family plans that offset trip costs and make “saving for the Israel trip” a part of the child’s upbringing. 2.Inspiration and Ideology – Throughout your children’s education, teens need to be exposed to inspirational history and important people and heroes of Israel, and the ideological underpinnings of the Jewish State of Israel. 3.Connect with the people – Jewish educators have a special role in this by connecting teens between America and Israel. Educators can help guide interaction by creating e-mail connections, and facebook and social media groups with an ultimate result in greater desire to go to Israel. 4.Use the Media – Have teenagers returning from Israel write letters and articles in the school newspapers about their experiences. Encourage them to responsibly use sites like instagram, and other social media to tell others about their wonderful trip to Israel. Utilize Jewish press and wider community media as well. 5.Speaking about it – Arrange for returning teens to speak at synagogues and Jewish schools about their trip and importance of going and learning about the land of your roots Israel. 6.Honor those who go – Encourage others to go by honoring and celebrating teens who are currently in Israel, those teens planning to go, and teens who have recently returned from a trip to Israel. A.Parent Involvement – Enlist parents of teens who recently returned from Israel to help in communicating with families considering a trip for their children. These parents can be key in overcoming natural concerns about sending a child to Israel and focus instead on the lifelong educational and spiritual benefits that traveling to Israel can provide. B.Trips for parents – Arrange parent trips to Israel, specially for families whom never traveled to Israel. This can be a means of increasing Jewish communal involvement as well as educating them about Israel. There is no question a parent trip will lower concerns about trips to Israel for their teenage children. Israel trips are about connecting to that which transcends the individual – Jewish history. The only way to experience Jewish “history-in-the-making” is to go to the land of Israel. Organize a Youth & Teen Trip to Israel. Call us toll free US/CAN 1-800-933-4421, e-mail us or use this form to contact us.